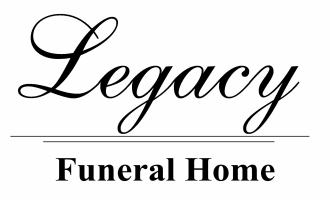 HELENE MICHEL, of Cardston, Alberta, passed away peacefully on, November 26, 2018, at the age of 97. She was born April 10, 1921, in TaTa Tovaros, Hungary, and raised in Switzerland. She was the beloved wife of the late Walter Michel. Also predeceased by her daughters Ilona Michel and Heidi Michel Campbell. Helene loved her family and enjoyed their visits. She was an active member of The Church of Jesus Christ of Latter Day Saints. She will be missed by their children, Erika Robertson, Anna (David) Adams, Veronika (Roger) Badick, Ursula (Bill) Davies, Rolf (Sheila) Michel, Walter (Dee Dee) Michel, Hansrudi (Lorrie) Michel, Kathy (Brian) McManus, Christine (Guy) Elford. Also her 38 grandchildren, 126 great grandchildren and 6 great great grandchildren. A Service will be held, on Saturday, December 1, 2018, at The Church of Jesus Christ of Latter Day Saints chapel, in Hill Spring, Alberta, at 11:00 am. Friends may meet the family prior to the service from 10:00-10:45 a.m. prior to the Service. Interment to follow in the Hill Spring Cemetery.